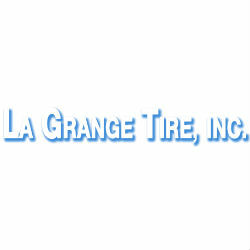 Home › Texas › La Grange › Tire Shops Near Me in La Grange › La Grange Tire Inc.
About La Grange Tire Inc. Welcome to La Grange Tire, your one-stop shop for a complete line of quality tires and auto services. We are MORE than tires! Technicians perform preventative maintenance and major automotive repairs to passenger vehicles and light-duty trucks, including alignments, brake jobs, suspension repairs, and A/C repairs. For nearly 20 years, we have provided Fayette, Lee, Colorado, Washington, Guadalupe, and Bastrop Counties with the latest products and unprecedented services for everything we sell. Give to La Grange Tire Inc.